Would it be feasible to have a wolf as a mount? On my fantasy planet, humanoid peoples are at war and ride different animals into battle, including wolves. People and their wolves are, for all intents and purposes, extremely similar to humans and earth wolves. Could this physically be possible? Can a wolf support a weight similar to a human's? No. Wolves are not strong or large enough for a human to ride. If you increased it to the size of a horse, then you have something that could be rideable. Plus, it would look super weird, if you were on a mount that was essentially the same height as most tables. As far as a reality-check goes, wolf-mounts are probably not happening. 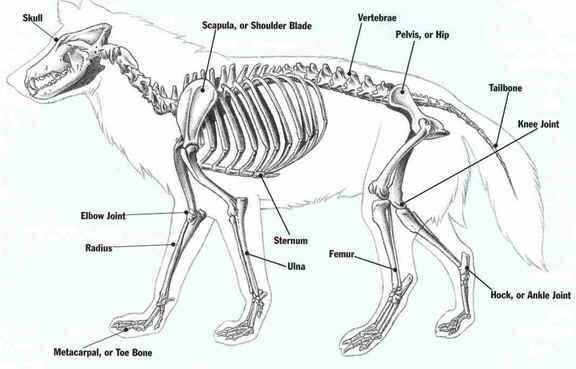 A fair few people have discussed physical size, diet and dangerousness being barriers to wolves being a successful mount, but there are key differences in the skeletal structure of predators (big cats especially, but wolves too) that make them unsuitable for riding. It all comes down to how various animals use their spines. 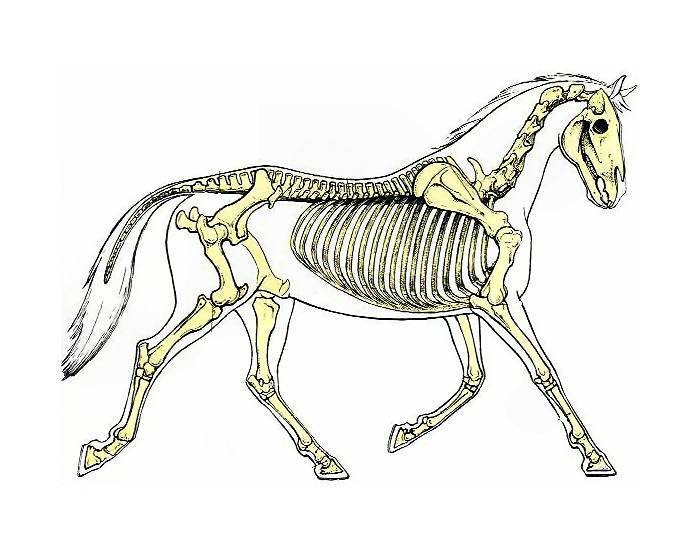 In horses (and all the ungulates I know of) the spine is a more or less rigid structure connecting the front and rear legs. The main locomotive power comes from the powerful leg muscles themselves. You can see this in the picture below (the key feature for the layman is the short stretch of spine between the end of the ribcage and the pelvis). This offers a strong, stable platform for load bearing. This allows for very fast acceleration, and usually a higher top speed than an equivalent ungulate. The flexibility also comes in useful when grappling prey. However, it impacts their endurance, means their spines are comparatively weak to loads on their back, and also means that when running their spines are moving all over the place. These features make them a very poor choice for mounts. 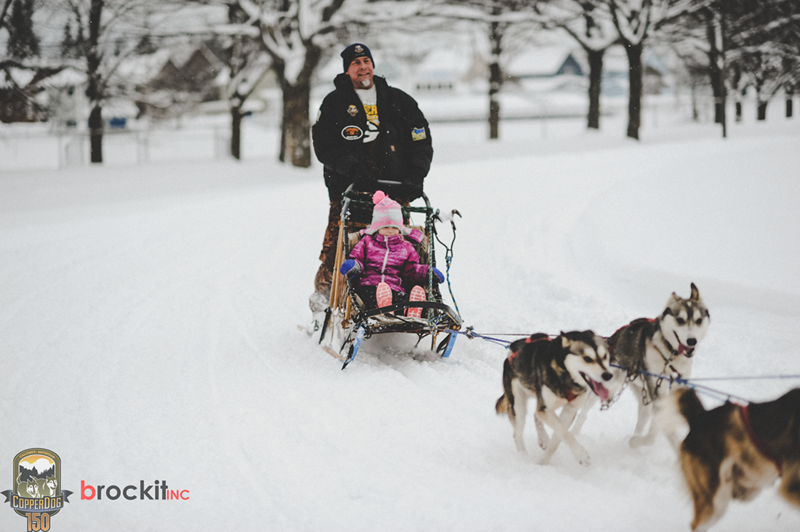 A canid or felid of equivalent size to an ungulate will be able to bear less load, move for less time before becoming tired, and be far more uncomfortable and difficult to ride. Depending on the design of the saddle they may also be unable to run at their full pace due to restricting the movement of their spine making them slower. 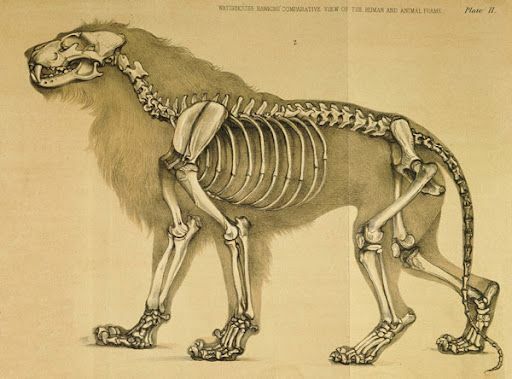 It gets worse if you choose big cats as their fully-floating clavicle means that their forelimbs are even less suited for bearing load than canids. All of this is probably surmountable by simply making your mounts bigger so the rider is proportionally less weight, but a bigger mount means more resources to support it and more danger to their handlers from what amounts to a colossal predator. If you have control over their evolutionary history, you can change their skeletal structure to better support loads, but considering that we see long flexible spines convergently evolving among a large number of distantly related quadrupedal predators (examples below) you'd need to come up with a solid set of environmental pressures to select for a spine that can take strong vertical loads. Unfortunately I don't know enough about the skeletal structure of bears to work out if they suffer from the same problems. Hyenas are an interesting case as well based on how they seem to run, but I need to look into them a little more. Edit: I've done a little research and I think they might be a bit better, but I'm not sure if it's enough. It's the metatherian examples here that are the kicker. 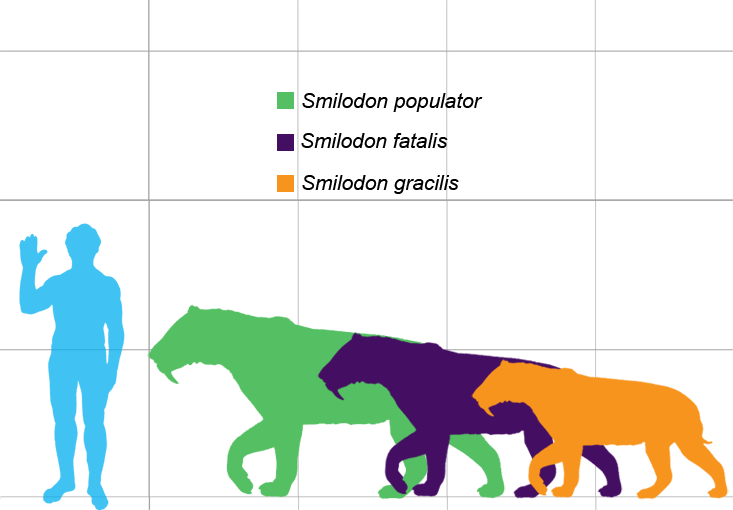 You could argue that flexible spines were an early adaptation by the carnivora order, explaining their presence among most of the known big predators. However, to have a whole separate class of mammalian big predators (and three separate families within it) come up with pretty much exactly the same adaptation suggests that it's a pretty good one for big predators to have. Sorry if that's not what you were after! Edit: but wait! We might be able to get this to work with a few stretches! Say we manage to find a quadrupedal predator that hasn't evolved to use their spine for locomotion. The next issue to solve is diet. One of the main reasons for the choice livestock we have today is that they subsist on food that humans can't live on. Horses, cattle, sheep, donkeys, camels, llamas, water buffalo, yaks, oxen, rabbits and many others are largely grazing herbivores. They can survive on grasses and other plant matter that humans can't. Goats are browsers, but again they largely survive on plant matter that humans can't. Chickens, ducks and cats do eat some things that humans do, but can subsist on them in small enough quantities from wild sources that are usually not worth the effort for humans. Pigs are probably the closest to humans in diet, but primitive cultures seem to feed their domestic pigs on refuse so as to not compete with them. What this tactic allows cultures to do is maintain a larger population of both people and livestock on the same area of land than if the livestock were competing with humans for food resources. Dogs do straddle this a little. They compete with humans for food resources, but presumably their benefits outweighed this cost to primitive humans. I don't know as much as I'd like about the history of dog domestication, but I assume it's largely because the services they provide to humans are unique among our suite of domesticated animals (assistance hunting, sentry duty etc.). Also, they are able to subsist on parts of an animal that humans find difficult to process (they have specific adaptations to teeth and jaw structure to allow them to crush bones to get to marrow). They are also much smaller than a typical human, so require fewer resources to maintain. There seem to be limits to the size of warm-blooded mammal land predators, especially hypercarnivores. This poses a problem for our predators, as horses are big. The range for rideable horses I've found is between 350-1000kg (the average for a light riding horse is about 450kg). The largest extant mammalian land hypercarnivore is the polar bear. Some brown/kodiak bears in some environments are hypercarnivorous too. All three can reach over 1000kg in captivity (the record for a wild polar bear is also 1006kg). Typical size ranges are 350-700kg for polar bears, and 180-360kg for male brown/kodiak bears (up to 680kg on occasion). Aside from the very specialised polar bear and the usually hypocarnivorous brown/kodiak bears the upper bound seems to be somewhere around 450kg. The biggest extant big cats are tigers (90-306kg) and lions (150-250kg). There are, however, a number of sizeable extinct mammalian land predators that approach the size required for riding. Arctotherium was significantly bigger, and is a candidate for the largest mammal land predator. It weighed between 900 and 1700kg, but there is debate over its diet. 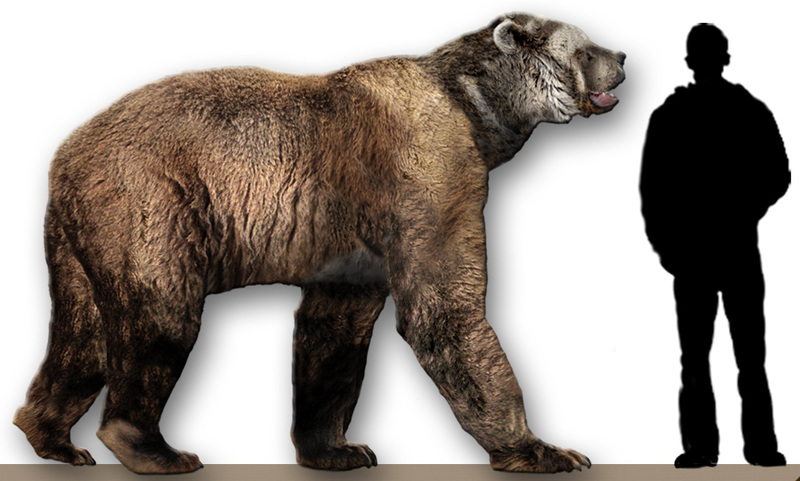 Other short-faced bears were also very large (around 900kg). There is also another colossal predatory land mammal we know of. 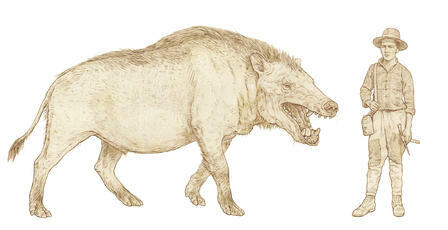 Andrewsarchus is a member of an extinct mammal clade called Mesonychids (carnivorous ungulates). It's only known from a skull so its size has to be inferred from comparing to other members of its family. It's estimated to be between 450kg and 1000kg (1000kg being plausible). It is thought to be an omnivore. 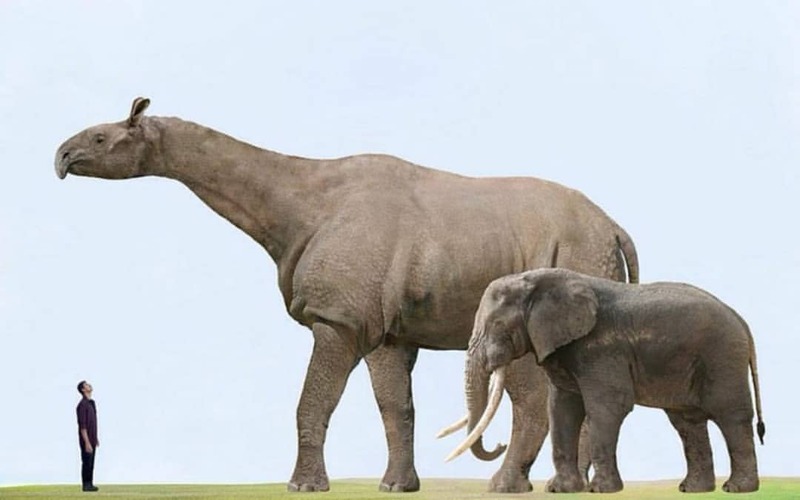 Paraceratherium is the largest known land mammal, and is estimated to weigh between 15000 and 20000kg! It's an appreciable fraction of a sauropod dinosaur! What this all means is that while there have been a number of carnivores through the ages that have reached the size required to function as a feasible mount for people, the carnivores that do fall into that category are all towards the upper bounds of what we know is evolutionarily possible for a mammal in a recognisable environment. Meanwhile, to get a large herbivore to the size required to function as a mount for people is laughably easy. For reference, the largest known wolf is the Dire Wolf weighing 50-110kg. The largest canid is Epicyon haydeni, weighing up to 170kg. There are also the closely-related bear-dogs which did get very large (Pseudocyon was 100-600kg). So, how might we actually be able to make this work? First off, in order to have such a large predator they can't be obligate carnivores or hypercarnivores, both to maintain their size and to coexist with humans. It's also probably unwise for them to be mesocarnivores (30-70% meat consumption). So, what we want is a hypocarnivore (<30% meat consumption). We already have an extant family of large hypocarnivores: bears (mostly). Grizzly bears are hypocarnivores and they're the second largest meat-eating land animal still living. The main problem with grizzlies (and black bears) is they eat pretty much exactly the same things that people do. 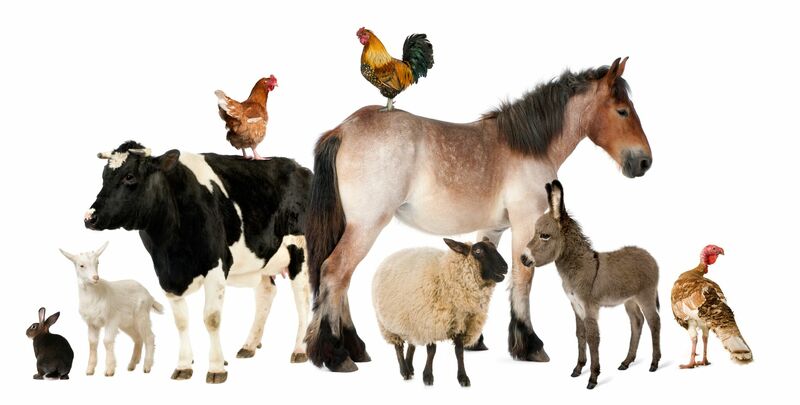 Land animals large and small as well as fish and shellfish, roots, tubers, berries, grains, legumes and some insects. So, what we'd need to do is modify their diet to something that humans have trouble digesting. I'd say that rough plant matter like grazers is unlikely given the digestive specialisation that would need to take place. It is possible (see pandas), but they have their own issues (primarily the need to eat such vast quantities that you'd only be able to ride them for a couple of hours a day). As a potential solution I'd say what we want is a hypocarnivorous carrion eater. One that can digest meat that would make a human quite sick (much like dogs actually! ), and that has similar bone-crushing adaptations to allow them to efficiently process parts of a carcass that are difficult for humans. Large obligate scavengers are pretty much non-existent, and if they subsist by hunting large game they'll compete with humans too much so the rest of their diet should come from vegetable matter. Bonus points if they can digest some toxins in a fictional widespread tubor that humans can't. This may also help with the spinal issue. If the animal has spent a significant part of its evolutionary history not hunting (or diverged before the advent of locomotive spines), they might have the spinal structure you need. If they have been scavengers for long enough, they will likely have evolved to be able to traverse great distances which also helps with the endurance that mounts need. In order for them to be domesticated in the first place, they will probably need to be social animals. They will also probably need to be smaller than humans initially so as to not pose too significant a threat when the process begins. This helps with the scavenger aspect as to subsist in that way and have enough of a population to be social they likely cannot be big (depending on the proportion of their diet that comes from carrion). There are other variables to consider (such as problems breeding initially smaller animals to be bigger), but what we're probably looking for is a bone-crushing social hypo-scavenger that began as a much larger animal before evolving to a small enough size to allow for easy domestication (in order to attempt to preserve some of the adaptations that support large size), that also subsists on widespread high-energy food that humans can't digest. An adaptation towards having a lower body temperature than typical mammals (usually driven by a period of subsisting in a marginal ecological niche) would also help with size. They need to have evolved alongside another predator that monopolises big game hunting. This both provides them with the carrion they need to have evolved into their niche, and discourages them from big-game hunting themselves. In order to be bred to be mounts, this needs to happen in the absence of other animals that are more suitable. This is a very specific set of circumstances, which may go some way to explain why it's never happened at any point in the real world, but it may just possibly happen if you really want carnivorous mounts in yours. 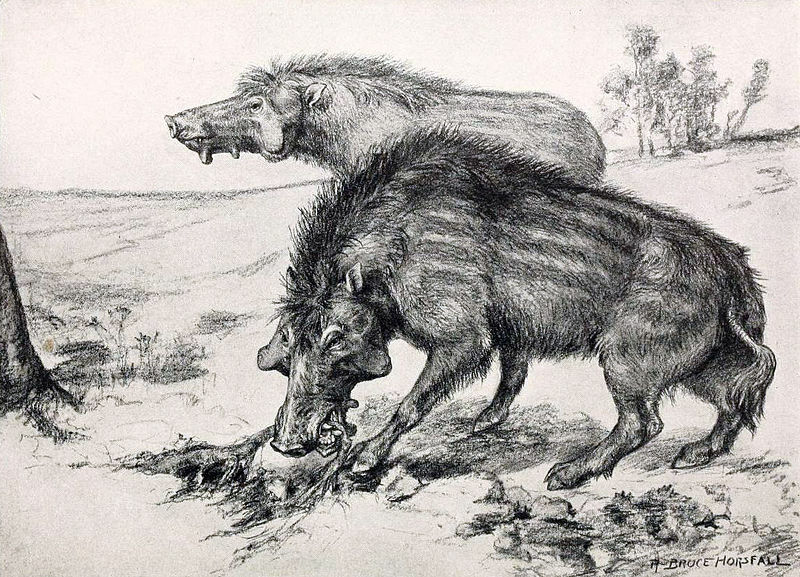 Entelodonts were a family of omnivorous (but not hunting) large artiodactyls (cloven-hooved animals) thought to be somewhat related to hippos and cetaceans. Their dentition shows hallmarks of feeding on tough plant material like bark or stripping leaves from plants in addition to other typical omnivore food (nuts, seeds, berries, invertebrates, small animals), and also bone-crushing similar to hyenas. This suggests that they were likely omnivores who ate a significant amount of carrion. 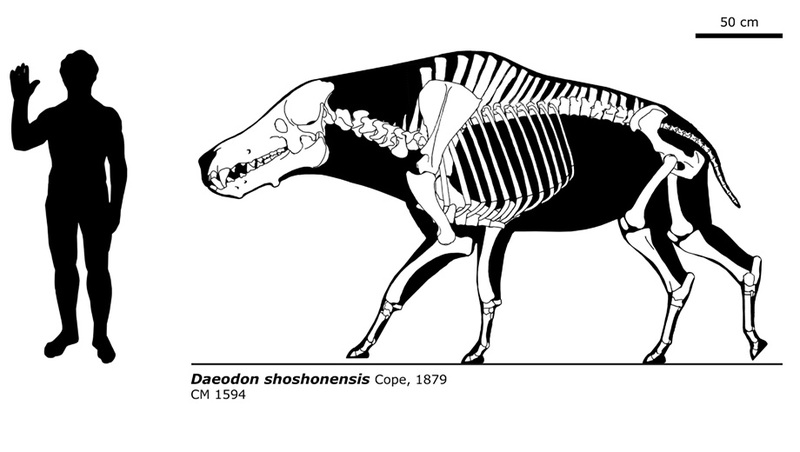 Large examples like Daedon reached around 450kg, which is definitely in the riding range, and they also seem to have a reasonable skeletal structure for load-bearing. It's also relatively well adapted for endurance. 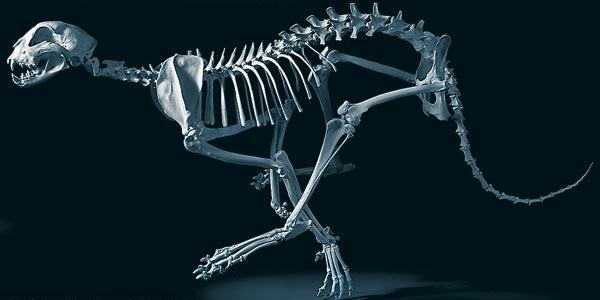 Artist's rendition of Archaeotherium, roughly 270kg. Don't look all that much like wolves, but if you can control your world's evolutionary history then adapting a canid-like species into a similar ecological niche might not be too tricky. A single wolf is not suitable for riding on. You can, however, use a pack of wolves, the same way as northern natives use dogs. So I can imagine a chariot driven by a pack of wolves, why not? It depends on your world-building to make it work, for the Earth it's not feasible. How it goes on planet Earth and Earth's wolfs. Most carry-animals work with weights around 10-30% of their body-mass. Cavalry regulations I know of were: below 20-25% body-mass be it war-horses or other pack-animals. Modern record-worthy wolfs are 80-105 kg with half that for an average specimens. Biggest ancient ones had an average body-mass at 60-80 kg with a limit at 110-120 kg. Even if you are super generous with making them extra strong and sturdy and point out, that smaller animals have better strength and sturdiness to mass ratio. Best you can hope from your wolf is 40-50% body mass, under conditions, that modern laws would consider torture. To make it work we can do some world-building. As extra help you can play with your planet, for example, you can have an Earth-like world with 70% Earths gravity. Unlikely. 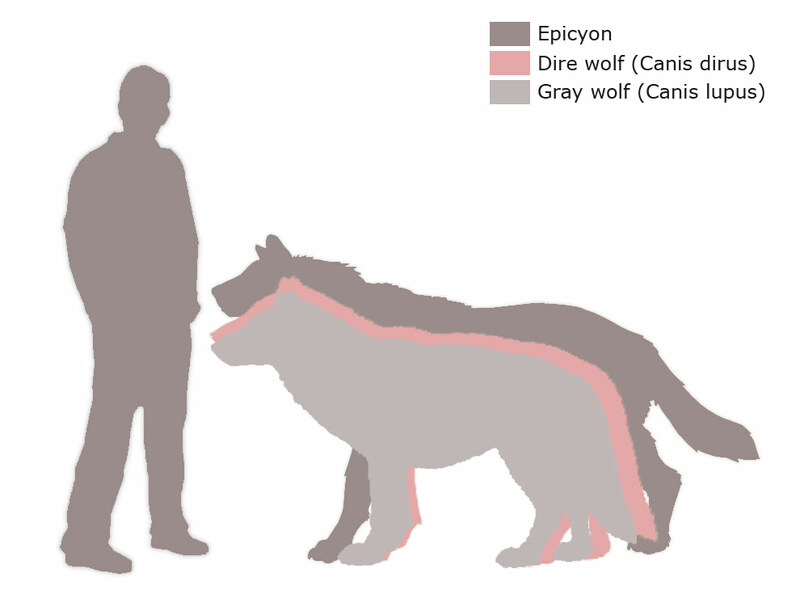 The largest wolves – the extinct dire wolf, or the modern canis lupus occidentalis/Canadian timber wolf – are comparable in size to the average human, but weigh less than a human rider (before being loaded out with weapons and armour). That said, if you were to enlarge your wolves and/or reduce the size and weight of your humans it wouldn't be difficult to justify the relationship. As others pointed out, wolves won't be strong enough to run while carrying an armed adult. But even if they're larger and more than proportionately stronger than Earth wolves, there is another difficulty that four-legged mammal carnivores in general have bodies that are more flexible and curl almost to an arch and then straighten when running. On the other hand, bodies of herbivores like horses stay relatively flat even when galloping at full speed which makes them more suitable for riding. The wobbling up and down would it not only make it uncomfortable to ride, it would also be harder to control the animal using leashes. Besides these, there are other points like the fact that they specifically require meat, which can be a problem when travelling in animal-less lands, and their higher aggression and curiosity (herbivores have a greater tendency to be wary while carnivores have a greater tendency to be curious and observant) can override their willingness to obey the commands of their riders. Of course, since you mentioned that your world isn't Earth, larger wolves (or at least a particular breed of wolves) with a different body structure and behavioral traits wouldn't be out of place, if you're willing to do it. If a frame was made with a 'saddle' on each wolf to spread the load equally between them, I believe four wolves would be able to support one warrior. Wolves are pack animals and would easily be domesticated after a number of generations to run together as a team just like huskies. I see your puny wolf mounts, and I raise you Stalin's moose-mounted cavalry. E.g., http://news.bbc.co.uk/1/hi/world/europe/3557085.stm. You may want to breed intelligence into them to avoid repeating disasters (read article); also avoid close combat in dense forest given the antlers I suppose. Why not wolves? As the other answers... But it seems any single plus (beyond 'coolness') is wasted. Pack tactics is what makes wolves fearsome in groups, but for that they must listen to the top dog --- not each wolf listening to its rider (in the remote case they could carry it, like a small race of dwarves/gnomes); that's a herd not a pack! They constantly monitor/guess each other's speed, endurance and instincts when/where/how to attack; a rider messes that up with their steering as well as bulk. [Letting them work as a pack might work in stories, imagine special ops like assassinations at night; historically it was humans playing alpha dog and letting their dogs do the risky 'underdog' role of attacking first, e.g. the Molosser war dogs https://en.wikipedia.org/wiki/Dogs_in_warfare). Wolves might feasibly pass messages & small parcels back & forth, but hypercarnivores and battlefront logistics don't mix; "an army marches on its stomach" and all that. Better alternatives: terriers eat less and not all meat, and very hard targets for your enemy to hit hence better at passing messages across frontlines; plus off-duty they enjoy catching supply-stealing rats, a double savings in food for men and dogs. I'm sure terriers were used in WW1 frontlines for that, the previous link will cover that. Not the answer you're looking for? Browse other questions tagged reality-check fauna transportation or ask your own question. Could a horse-sized wolf-like animal out run a horse? Would an anthropomorphic wolf species be able to hunt their prey without weapons? How could a wolf-man be explained without magic? What sort bridle would be needed to ride a multi-headed carnivorous mount? Can I monitor animal movements from space? In a world without humans—or any caretakers—would domestic house pets simply regress into being feral or die?